Gareth Southgate has named his England squad for upcoming games against Spain and Switzerland, the former coming in the UEFA Nations League. It’s the first squad announcement since the Three Lions enjoyed a successful World Cup in Russia this past summer, and so all eyes were on who survived from that group and which new faces have been added. As seen in the graphic below, Man Utd’s Luke Shaw is back in the fold after enjoying a positive start to the Premier League campaign, as he’s started all three games thus far and is seemingly impressing both Jose Mourinho and Southgate with his current form. Meanwhile, after missing out at the World Cup due to injury, Joe Gomez is also included as he’s taken his chance at Liverpool so far and stepped in alongside Virgil van Dijk to ensure that the Merseyside giants are yet to concede in three Premier League outings. Other notable decisions include Southampton goalkeeper Alex McCarthy replacing Nick Pope as he looks for his first cap, but naturally he’ll have a tough time displacing Jordan Pickford between the posts. There is no place for veteran trio Ashley Young, Jamie Vardy and Gary Cahill though, with Southgate explaining the choice after holding talks with the players in question as he looks as though he will continue with a long-term vision in mind to give younger players an opportunity. “Those guys are older and – in a couple of their cases – aren’t playing much with us. I recognise that, when you’re travelling with England and not playing for a fair bit of time, that’s a different sort of role,” he said, as per the FA. 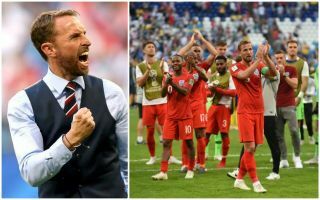 England take on Spain in a UEFA Nations League clash on September 8 before facing Switzerland in a friendly on September 11.